The opening night of the 15th Cork World Book Festival welcomes Tess Gallagher and Harry Clifton. The evening will be curated and presented by Leanne O’Sullivan. Launches, workshops, demos, film screenings, open mic and more all organised by our Library Teen Committee. As part of Teen Day, the Library Teen Committee invite you to an afternoon with John Boyne who will talk about his new young adult novel My Brother’s Name is Jessica. Full of John’s trademark wit, warmth and emotion, it is an urgent call to arms for better empathy and understanding about the complexity of gender identity. Le Louis de Paor, Ailbhe Ní Ghearbhuigh agus Séamus Barra Ó Súilleabháin. D’éag Liam Ó Muirthile beagnach bliain ó shin – file iontach, tabhachtach, cailliúil, sainiúil ab ea Liam, a bhí linn i bhFéila Domhanda na Leabhar roinnt uaireanta. Cailleadh mór do litríocht na Gaeilge. Louis de Paor – a key figure in the contemporary renaissance of poetry in Irish since 1980, four times winner of the Oireachtas prize for the best collection of poems in Irish – will host an evening paying tribute to the life and work of this great Cork-born Irish poet, who died in 2018. Louis will be joined by two young poets Ailbhe Ní Ghearbhuigh and Séamus Barra Ó Súilleabháin. Shi Yining is a graduate from Sun Yat-sen University. He started to publish works in 1985 and won the 12th China Book Prize. He has published many literary critic books and other genres of literary works. He was the deputy chief-editor of Literature and Art Newspaper and is now the chief-editor of National Literature, vice chairman of Mass Culture Society of China and Society of Writers of Ethnic Groups. Zhang Weimin is president of Jilin Provincial Writers Association, member of the National Committee of China Writers Association and Literary Criticism Committee, and a standing member of China Contemporary Literature Research Society. He is also a visiting professor of Northeast Normal University and Ph.D. mentor. He has published a collection of literary criticism, Notes of Criticism. Wang Shiyue is an editor, award winning novelist (Lu Xun Literature Prize and Novella of the Year 2011 of People’s Literature Prize) and a member of the National Committee of China Writers Association, vice president of Guangdong Provincial Writers Association and deputy chief-editor of magazine Works. He has published many novels and short stories. His works have been translated into English, Russian, Italian and Spanish and adapted into films. Zhu WenYing lives in Suzhou. She has published several novels and novellas. Her works have been translated into English, French, Japanese, Russian, German and Korean. She has been awarded many literature prizes in China. She is one of the organisers of the First Chinese Young Writers Visiting Program 2018, and the 10th and 11th Bookworm International Literary Festival. She is the only Chinese writer who has continuously participated in the China-EU International Literary Festival for three sessions. A fun morning for children under 5, their parents, grandparents and carers. Laila Stien is a Norwegian novelist, poet, author of children’s literature and translator. She is a recipient of the Norwegian Critics Prize for Best Children’s Book and the Aschehoug Prize, and Northern Norway and Sami cultures feature prominently in her works. Mikkel Bugge is a Norwegian writer and playwright. Bugge made his debut with his short story collection, Perimeters, in 2007. His first novel, Go Under Ground (2010), was nominated for the P2 Listeners’ Novel Prize and the Young Readers’ Critics’ Award. In conversation with Irish novelist and short story writer, Eilís Ní Dhuibhne. Collabro are the world’s most successful Musical Theatre group. Their rendition of ‘Stars’ from Les Misérables on Britain’s Got Talent series 8, which they later went on to win, catapulted them to international fame. Having met for their first rehearsal above a pub in London just one month prior, they received a standing ovation at the Hammersmith Apollo with their first public performance. Three sell-out tours later, including shows in the US, Canada and Japan, Collabro have received a Gold Disc for Best International Artist alongside Sam Smith and Meaghan Trainor. With their latest album featuring songs from hit musicals such as Wicked, Grease, The Greatest Showman and Billy Elliott, Collabro will come to Triskel Arts Centre on Thursday 25 April fresh from their fourth and biggest ever tour, which will culminate in the Royal Albert Hall. Thomas McCarthy began publishing poems while still an undergraduate at University College Cork, and was awarded the Patrick Kavanagh Award when he was just 24. His new collection of poems, Prophecy, explores childhood memory, romantic love and the diversity of human attachment and follows the success of critically acclaimed Pandemonium. Illness and recovery, ageing and creativity are sensitively and skilfully handled in Prophecy. Cork novelist, poet and short fiction writer William Wall became the first European to win the prestigious Drue Heinz Literary Prize in 2017. A graduate of University College Cork, William holds a PhD in Creative Writing from the School of English, the first such doctorate ever awarded in Ireland. Suzy Suzy, his new novel, follows a troubled young teenager as she navigates her formative years against the backdrop of a dysfunctional home life. The horrors of secondary school and her parents’ erratic behaviour collide with a mystery surrounding a murder, compelling Suzy to make some impossible decisions. The Trick to Time is Kit de Waal’s second novel, taking place during the IRA bombings in Birmingham in 1974. Born in Birmingham to an Irish mother and an African-Caribbean father, de Waal began her writing career at the age of 45, after leaving school at 15. Seeking to address the under-representation of working class voices in the arts, de Waal has established a creative writing scholarship. Anne Griffin has worked with various charities following completion of a postgraduate diploma in Youth and Community Work. A recipient of the John McGahern Award for Literature, Griffin’s debut novel is When All is Said. The protagonist is 84 year old Maurice, who sits at a bar and toasts five individuals who have most profoundly impacted on his life in five internal monologues. In conversation with Paul McVeigh. The talk will be preceded by a whiskey reception. Cork Community Art Link present a community art project in the public space exploring various aspects of language, through sound, stories and visuals to celebrate World Book Fest. Join storyteller Simone Schuemmelfeder to travel into the different and colourful world of German picture books! Enthralling stories and lots of fun await you in this 30min story session. Simone will bring picture books from her country and show you what children in her country are reading for bedtime. The stories will be told in English with German added in as a tongue-twisting flavour! suitable for ages 4-6. Thomas McCarthy is an Irish Traveller, singer and storyteller hailing from Birr, County Offaly and is based in England. Named Traditional Singer of the Year 2019 at the Gradam Ceoil Awards, Thomas seeks to show people the richness of his heritage. Storytelling is a key part of this, and Thomas delights children with stories of fairies, hunchbacks, banshees, druids, Finn McCool and Cú Chulainn. Driven by a passion for keeping the art of conversation and communication alive, Thomas’ stories will appeal to both young and old. John W. Sexton is an Irish poet, short-story writer, radio script-writer and children’s novelist living in Kenmare, County Kerry. Among his best loved children’s novels are The Johnny Coffin Diaries and Johnny Coffin School-Dazed, which were based on the RTÉ Radio 1 series The Ivory Tower, also created by Sexton. Dr. Anatoly Kudryavitsky is a Russian-Irish novelist, poet, editor and literary translator. He holds a PhD from Moscow Medical Academy, with a background in biology, as well as Celtic heritage, music and literature. He was the founder and first president of the Russian Poetry Society. Francesca Melandri is an Italian novelist, screenwriter, and documentary filmmaker. Her literary debut Eva Sleeps (2010) was an instant bestseller, translated into most European languages. Her second novel, Right Blood (2017), maps the Italian colonial past in the context of a complicated father-daughter relationship. Daniele Serafini is a poet, translator, novelist and museum director. He has translated works from the Irish poets Theo Dorgan, Sean Dunne, Fred Johnston, Gabriel Rosenstock, and William Wall. His poetry reveals the unrest of an ‘exiled voice’ struggling between roots and the quest for an ‘elsewhere’, focusing on life and death, beginnings and ends, from a position which is critical of modernity and its myths. His most recent publication is When We Were Kings (2012). In conversation with acclaimed Irish novelist, poet and short story writer, William Wall. Who is playing tricks on the old farmer in Estonia? What is the clever witch of the Black Forest up to? And why is it so dangerous to pick blackberries near a fairy tree? Come and find out in this 45min session of enchanting tales full of mischief and magic! With folktales from Estonia, Germany, Ireland and more, storyteller Simone Schuemmelfeder will enthral her audience and give them an unforgettable and magical experience. Suitable for 6-12 year olds. Described by The Times as ‘a hymn to the power of literature’, Vickers ‘ new novel, The Librarian, focuses on a woman intent on re-igniting enthusiasm for reading. This is a deeply moving tale which showcases the power of books to empower, inspire and transform us all. Nuala Ní Chonchúir’s novel, Becoming Belle, takes place in Victorian London, with a talented, pioneering and determined protagonist. Witty and intrinsically feminist, this true story centering on passion and marriage is an eternal rags-to-riches narrative re-imagined. In conversation with writer and academic Dr. Eibhear Walshe. Sílvia Aymerich-Lemos Catalan poet, translator and literary activist presents the Multiple Versions project, which she co-founded with Kathleen McNerney to promote literary exchanges between poets in minority languages from across Europe. She has published a number of translations of European and American authors into Catalan. Her poetry has been rendered into Romanian, Polish and Italian for international anthologies. She has been awarded the Amadeu Oller Poetry Prize, the City of Elx Narrative Award and Honors Mention in Perpignan for Balsàmiques, a collection of poems on worldwide women poets. A tireless cross-cultural literary activist and researcher, she recently conducted a study on Catalan LabLit and gender under the patronage of the Catalan Department of Culture. Presented by Dr Yairen Jerez of the Department of Spanish, Portuguese and Latin American Studies in UCC, she will read from her own poems and those of other poets/translators from the project, as well as presenting her recent translation into Catalan of Welsh poet Menna Elfyn’s book Murmurs. Local authors Catherine Kirwan, Conal Creedon, Billy O’Callaghan and Eibhear Walshe will discuss their latest work with an introduction by Fiction at the Friary writers Madeline D’Arcy and Danielle McLaughlin. 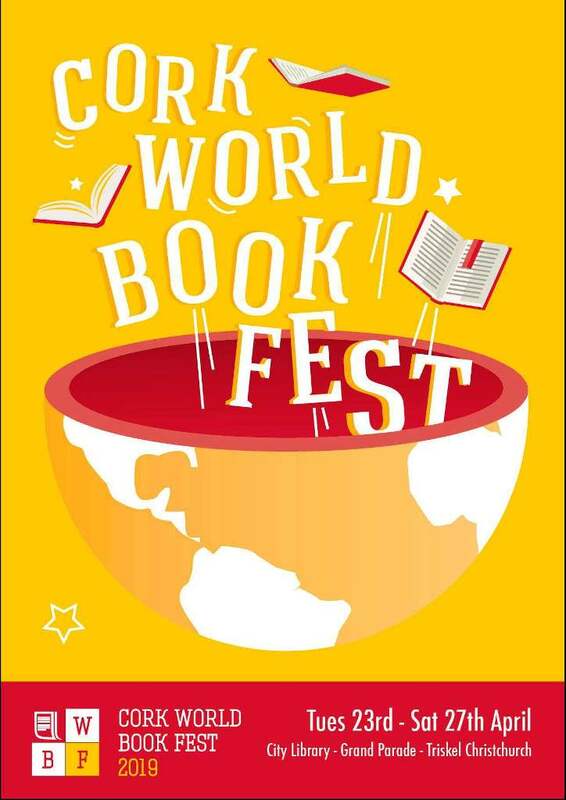 In recognition of the ‘World’ in the Cork World Book Fest, this year we feature two translations workshops, one on Thursday 25 April and one on Friday 26 April. Under the guidance of Keith Payne, a poet and translator, participants will make new poems in English from the original works of poets who will be appearing at the Fest. One workshop will translate the work of Italian poet Daniele Serafini, and the other workshop will translate the work of Catalan poet Sílvia Aymerich-Lemos. If you wish to be involved, please email patricia_looney@corkcity.ie and let us know which language you wish to translate. If you wish to involved, please email patricia_looney@corkcity.ie and let us know which language you wish to translate. James Willis and Polly Nolan in discussion with Vanessa Fox O’Loughlin on the current literary market and what they are looking for. 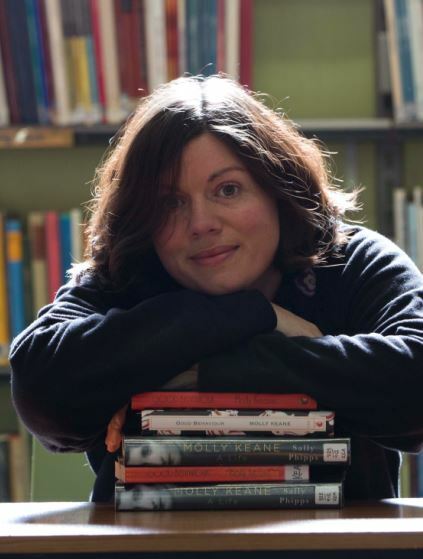 Polly Nolan works at the Greenhouse Literary Agency, a trans-Atlantic agency specialising in writers for children and young adults. She has vast experience of the world of children’s books, having worked for Egmont, Orion, Oxford University Press, Scholastic (where she was Editorial Director) and Macmillan Children’s Books (in the role of Publishing Director). Polly is always after a gripping story, originally told . . . but doesn’t really like Prologues or books that feature talking birds. She is actively searching for standalone, realistic Middle Grade. She doesn’t mind a touch of magic but isn’t looking for high fantasy. In Y.A. she would love a really great rom-com. Ten selected authors will read their first page (approx 300 words) to the agents and the room. Our agents will give their feedback; the winner will receive a selection of books. Free: To enter, email patricia_looney@corkcity.ie by Friday 19 April. The top 10 writers will be notified ahead of the day. Family Event: Story Craft Workshop with Simone Schuemmelfeder. Make your own fairy tale forest! In this workshop, we will look at what makes the forests in fairy tales so magical. Is it the witch living in them? The talking trees? Or something else? In a few easy steps, each child will create their own amazing Fairy Tale Forest. Join storyteller Simone Schuemmelfeder in this magical craft session and listen to her stories of thorny woods and mysterious creatures. She grew up in Germany near the old Fairy Tale Road where the Brothers Grimm collected tales like Hansel and Gretel and Sleeping Beauty. It is fair to say that she knows her deep, dark woods! Suitable for 7-12 year olds. Vanessa Fox O’Loughlin is the founder of the award winning writing resources site, Writing.ie, and of The Inkwell Group publishing consultancy. She is Ireland’s leading literary scout and conceived and developed the National Emerging Writer Programme for Dublin City of Literature. Writing crime as Sam Blake, the first of her trilogy Little Bones was published in 2016 and hit the bestseller list, spending 8 weeks in the Top 10 with 4 weeks at No. 1. In Deep Water, her second book, came out in 2017 and her third book, No Turning Back, hit the bestseller list in May 2018. Vanessa explains the blueprint from keyboard to bookshelf and will discuss how best to submit your work, to attract a publisher and build your author platform. This workshop will give you ideas on where to submit, in an informal atmosphere where you can ask all those tricky questions. Fear of the First Chapter! Paul McVeigh and Vanessa Fox O’Loughlin will discuss how to write a captivating first chapter that will get you noticed! Frammenti [Fragments, 2013], an exhibition by Italian photographer Mario Badagliacca, will run for the week of Cork World Book Fest. It focuses on objects taken from asylum seekers and migrants as they arrived on the island of Lampedusa. Mobile phone parts, battered guidebooks, broken compasses and cigarette packets were all taken, and later disposed of, by the police. In documenting this collection of lost belongings, Badagliacca encourages us to reflect on the value of objects and the value of human life. His photographs tell stories of migration, displacement and hope, as they help us to trace the different subjectivities of their owners; their faces, voices, stories and journeys. Held in collaboration with the Memory research group of the Centre for Advanced Study in Languages and Cultures, University College Cork.